The Glisten Holiday Throw is a made up of lace motifs joined together to make a stunning piece that is the perfect accent for your living room any holiday season. Holiday season?!? Marly, have you lost your mind? It’s only July! 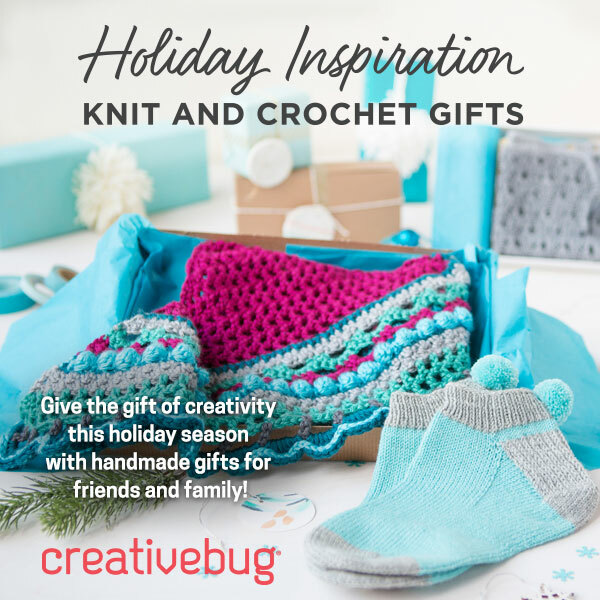 Well, it is the time of year when knitters and crocheters pick up their yarn and tools and make projects for #ChristmasinJuly. That’s right, Christmas is less than 6 months away so you better get started on those hand made gifts. I used the same stitch motif I used for the Pineapple Shawl (Free Pineapple Shawl Pattern Available Here) but this is in a square instead of in a triangle. How cool is that? One block measures about 9 x 9” (23 x 23 cm) square. CHECK YOUR GAUGE. Use any size hook to obtain the gauge. 25 total motifs. The blanket is 5 motifs across and 5 motifs long. Using Chart 1, make one full square. Then make each following square using the join as you go method; Chart 2 illustrates this. I did not add a border to my blanket but I think it would look lovely with a border. So, I am writing one for you. The instructions are at the tech editor now and once I get them I will add the border to the original blanket and show you how it looks. So, All of that is to say that I will update optional border instructions and this is a place holder. With RS facing, join yarn with sl st in top right corner of blanket. Round 1 (RS): Ch 1, * [sc in ch-3 corner sp, ch 5, sc in next ch-3 sp, ch 5, sl st in next ch-3 sp, ch 5, sc in next ch-5 sp, ch 5, sl st in next ch-5 sp, ch 5, sc in next ch-5 sp, ch 5, sl st in next ch-3 sp, ch 5, sc in next ch-3 sp, ch 5, sc in ch-3 corner sp] for each Motif across, rotate work 90 degrees, ch 3, rep from * 3 more times (for each side of blanket), join with a sl st in first sc, turn. Round 2 (WS): Sl st in each of next 2 ch, ch 1, * sc in same ch-3 corner sp, [ch 5, sc in next ch-5 sp] to next ch-3 corner sp, ch 5, sc in ch-3 corner sp, ch 5; rep from * 3 more times (for each side of blanket), join with a sl st in first sc, turn. Rounds 3-5: Sl st in each of next 3 ch, ch 1, * sc in same ch-5 corner sp, [ch 5, sc in next ch-5 sp] to next ch-5 corner sp, ch 5, sc in ch-5 corner sp, ch 5; rep from * 3 more times (for each side of blanket), join with a sl st in first sc, turn. It occurs to me as I write this that I don’t have a picture of the full blanket flat! I will be sure to take a picture when I get home and add it to this post.